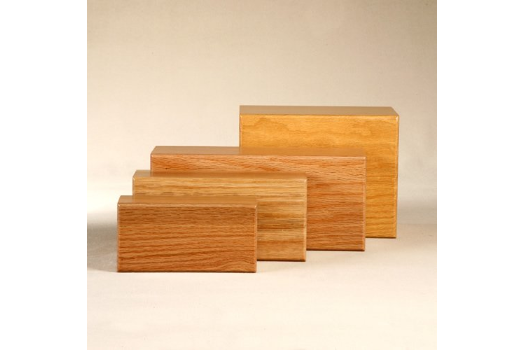 Browse our unique selection of Wooden Urns. Many stain colours available. 6 1/2 x 4 1/2. 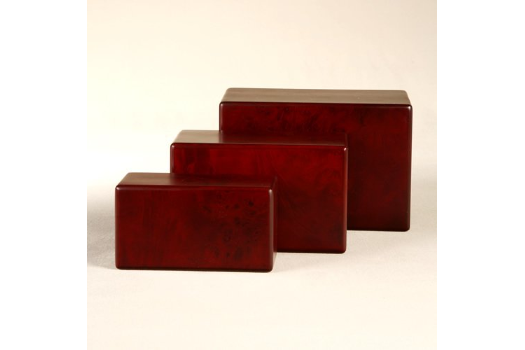 This cherry finished urn is rich in colour and makes a beautiful resting place for your pet. 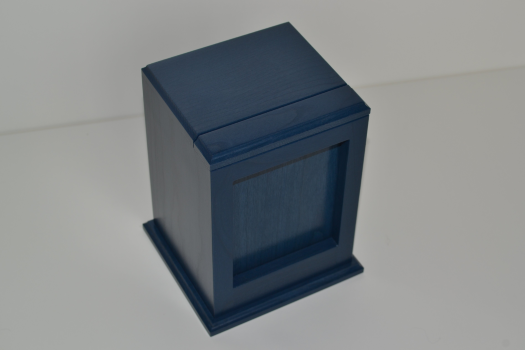 This urn is well suited for etching. 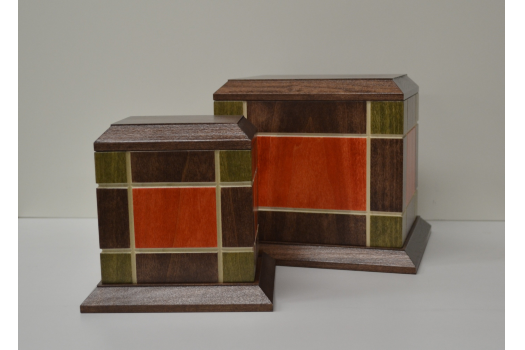 An engraved brass plate can also be added. 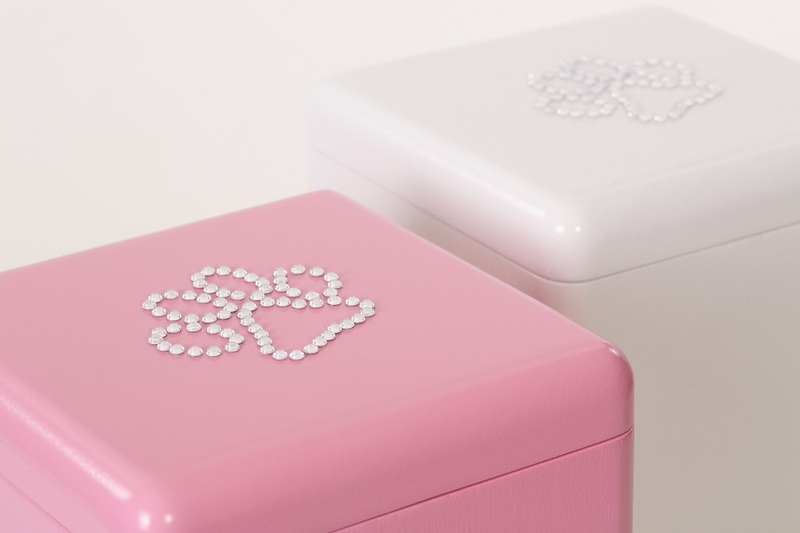 Extra charges will apply for etching or engraving. 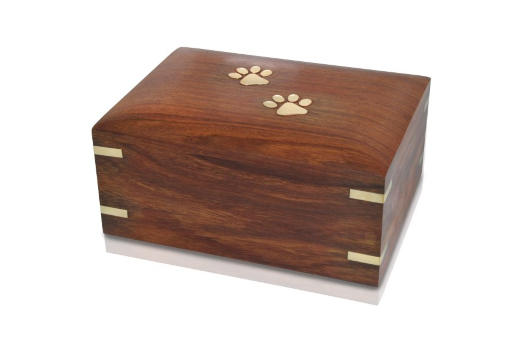 Elegantly crafted high quality oak urn is the standard urn used when returning your beloved pet to you. 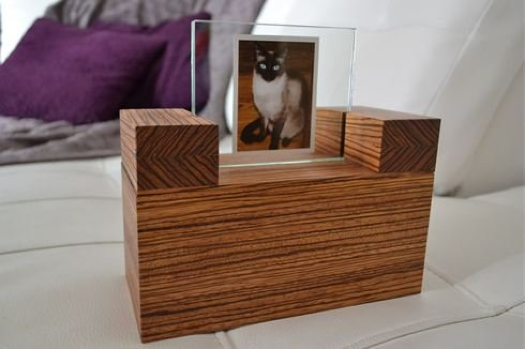 Customize this memorial with an engraved brass plate. Extra charges will apply.